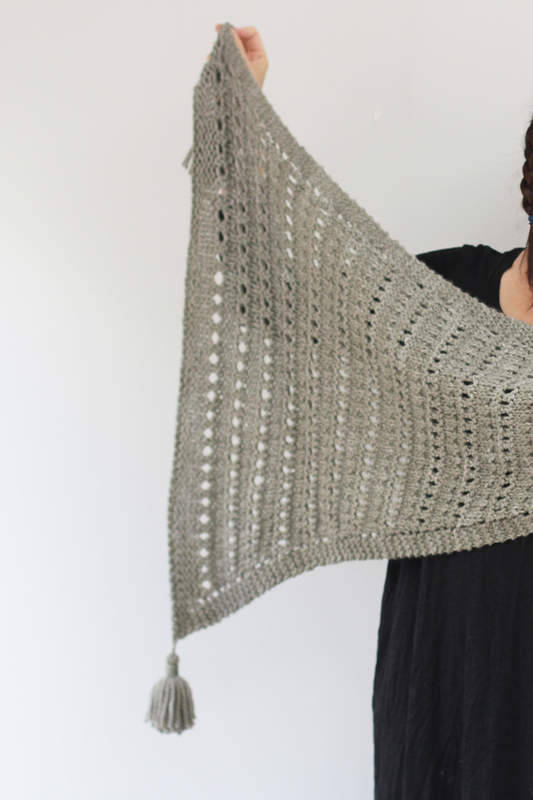 The Sonder Shawl is a big, soft, cosy shawl to wrap up the Shawl Society journey. “Sonder” is a new word, originally defined as “the realization that each random passer by is living a life as vivid and complex as your own." That sudden flash of recognition occurs at random moments. Sometimes it’s brought on by the novelty of a new place: taking a crowded train through a foreign country and watching the evidence of thousands of unknown lives flash by in seconds. Other times, a mundane moment spent standing in a coffee shop queue becomes suddenly mysterious as you wonder about the inner lives of the strangers who surround you. The Fibre Co Tundra [60% Alpaca, 30% Wool, 10% Silk; 109m/120yds per 100g skein], 3 x 100g skeins. Sample used all three skeins of Tundra. 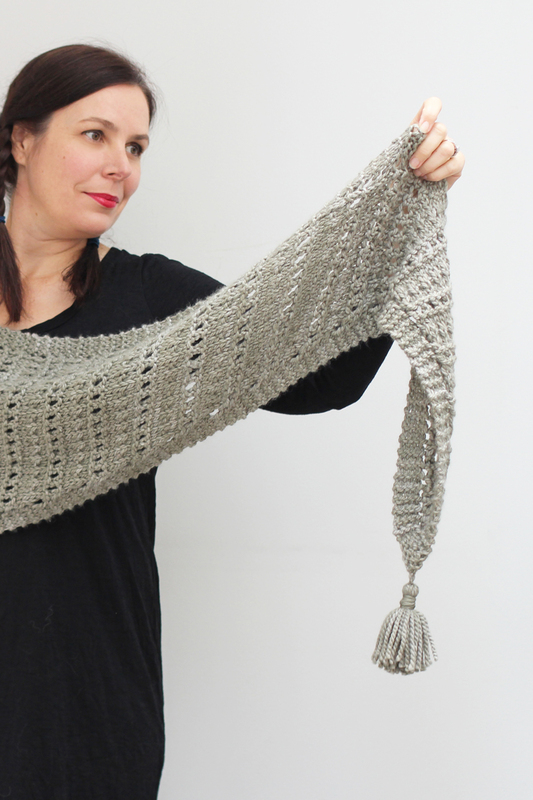 Or approximately 327m/360 yards of bulky weight yarn. 8mm (US 11), 100cm (40") long circular needles. 12 sts/16 rows = 10cm (4") in shawl stitch pattern after blocking.